Frabjous day! My story ‘Train in Vain’ has been shortlisted for the James White Award. Check out the full shortlist, with excerpts from the stories, here. And wish me luck! The winner will be announced at the BSFA awards this Sunday. I’ll be there, and at Eastercon generally, so drop me a tweet or something if you’re around and want to say hi. I promise I’m alright! 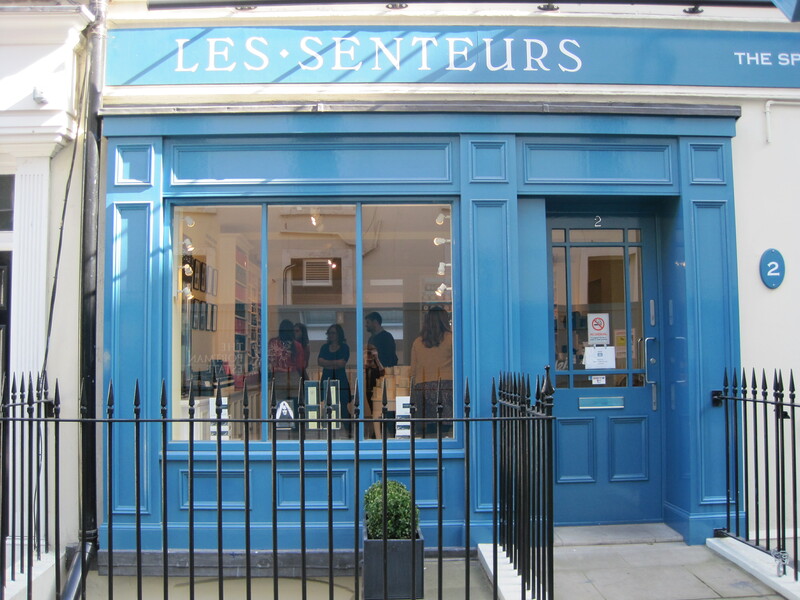 Yesterday, I went on a poets’ field trip to a perfumers in Marble Arch, London. I came home with a mystery scent sealed in a silvery capsule, and I have a month to write a poem from it. The commission is part of a project called Penning Perfumes, the brainchild of Claire Trévien and Odette Toilette. The end result will be a pamphlet and a perfume & poetry evening in June. I’m a bit in awe of some of the other poets involved, and swooningly excited about the whole thing. I went away with a blank brown envelope, containing my mystery sample and a letter with instructions. I love not knowing what my perfume is called, what it contains, what its story is. All I have is the scent. I have no idea what’ll come of this. Here’s to adventure! 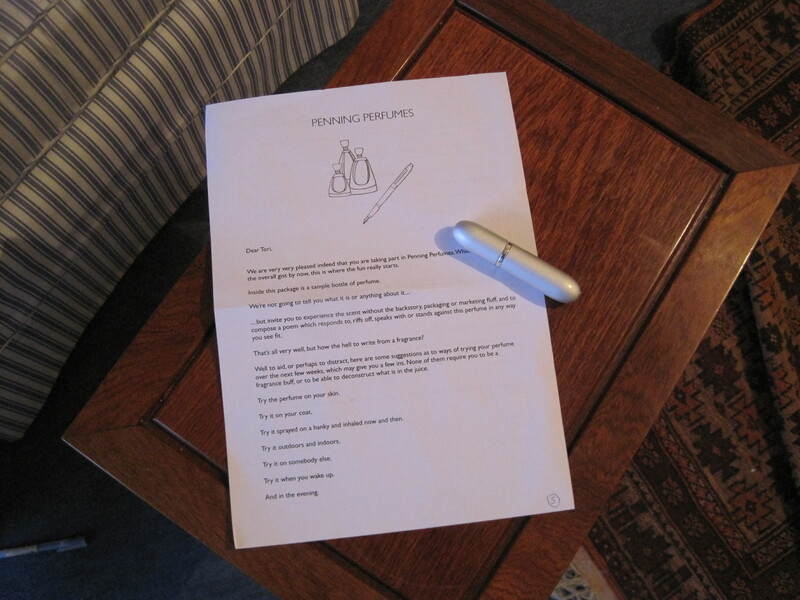 Follow the project at the Penning Perfumes blog, or on twitter using the hashtag #penningperfumes. Poetry Workshop in April – sign up now! Here be Monsters is a poetry workshop that I’ll be running in Beaconsfield in April, as part of a series of events being held to celebrate National Poetry Month. The theme will be maps – poetry as mapping, poet as map-maker, the way poems (like maps) are both fact and fantasy, mashing up the known and the unknown. The aim is to explore these ideas, talk about what we can take from maps and map-making and apply to poetry, and have some fun with writing exercises and games, all leading up to everyone producing a draft of their own map-inspired poem. Open to all ages and abilities – hopefully, whatever your level of experience, you’ll take some new ideas away from it. So that’s Sunday April 29th, 2-4 p.m., The Reading Room, Old Beaconsfield. Come and explore! And then on Monday the 30th, there’s a sister event – Mapping Poetry: Poetry Reading and Open Mic, so you can come and read your new creations there. And that one’s free. I have a new poem, ‘Terrunform’, in Stone Telling 6 – the science and science fiction issue. This is my first real SF poem, and it couldn’t have been published in a more wonderful and perfect place. Editors Rose and Shweta talk about science and SF poetry in their introduction, about the problems with it and what it could be. I’m honoured they wanted to use my poem. Click to read or listen to the rest! You can also find me talking about the ideas behind it, with several of the other poets talking about their inspirations and thoughts on SF, poetry, and gender, in the issue’s roundtable – it’s a great discussion. Now go read the whole issue! Stone Telling is just brilliant, and such an important magazine in the speculative poetry field, so do consider donating via their tip jar if you like what you read. So, I have two bits of anthology-related news. 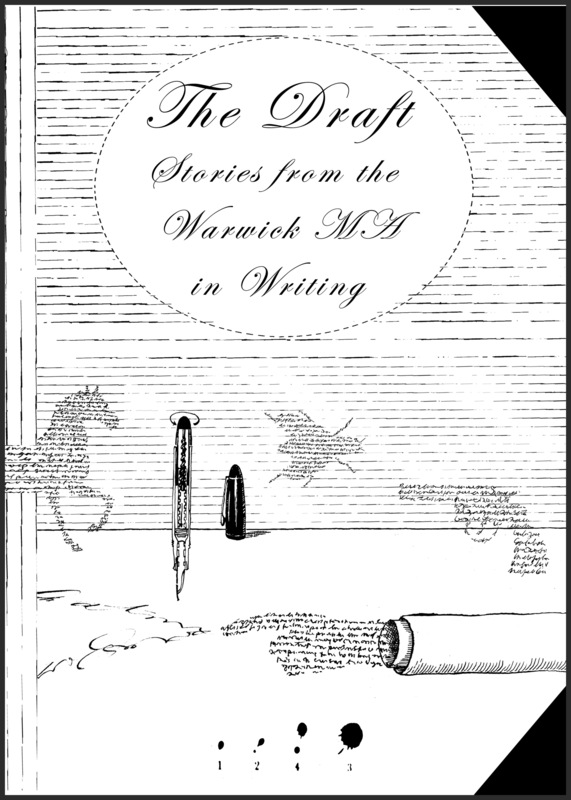 The first is that The Draft: Stories from the Warwick MA in Writing is now available for Kindle. If you like short fiction and want to support new voices, please have a look! It contains my story ‘Mr Wei Takes the Train’ and an assortment of other short tales by my amazing class from Warwick – with a diverse range of genres and cultural influences. The terrifyingly brilliant AL Kennedy says of The Draft: “There is a fierce joy about the pieces here: a sense that authors are revelling in making the impossible believable” (I’m still reeling a little from how lovely her afterword is, to be honest). So that’s all exciting! Anyway, if you decide to give it a try, or if you’ve already read the dead-tree edition, I would be incredibly grateful if you’d consider giving it a review. An honest one – no need to only say nice things! When I’m looking at books on Amazon, I know I prefer to see a mix of opinions in the reviews – it lets me make my own informed decision. Whereas if every review is 5-star I get a little suspicious. It would just be ace to see some conversation going on around the book, and it’ll mean our stories have a better chance of being noticed. Thank you! This anthology contains my story ‘Four Pairs of Marco Polo’, which is me doing realism. It’s sort of about Bangkok and the Western gaze, and sort of about the weird, weird world of SEO writing. 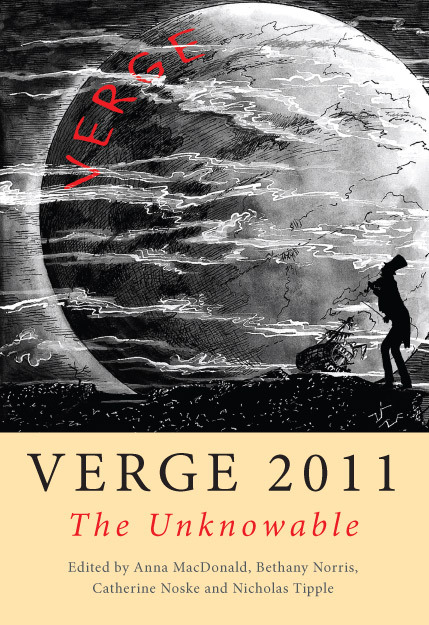 Verge also has stories from some great friends and writers, including Jon Mycroft and Mikey Atienza. Mikey’s the person responsible for turning me on to Philippine speculative fiction, and she’s an awesome writer. Really, I think people should get this book just so they can read her story, which is a gorgeously understated post-apocalyptic tale-in-fragments, set in a ruined library. It is quite pricey, I know, especially with the shipping cost if you don’t live in Australia – but there’s supposed to be an e-book at some point, which I’ll post about if it materialises. Meanwhile, the novel’s piecing itself together – I’m off to the British Library today for some research – and I’ve got some new short story ideas simmering in the brainpan. I leave you with my review of Steam-Powered II: More Lesbian Steampunk Stories, which is the most badass anthology I’ve read in a good while. You should buy it. A Catalogue of Unreadable Things, now readable! It makes me very happy to announce that I have a new short story up at Paraxis, entitled A Catalogue of Unreadable Things. The story features a library-ship, drowned books, wild seafaring scholars and a plucky young heroine. It’s a strange little story and I’m proud of it, and so very pleased that it’s in Paraxis. Editors Claire Massey and Andy Hedgecock have put together a wonderful library-themed issue, which includes the Paraxis Library Wall, an interactive mosaic of art and writing. Go check it out! It’s a bad time for libraries right now and having a whole magazine issue about them is a great thing. Do read Andy and Claire’s introduction, which talks about how important libraries are, and take a moment to look at their current nominated charity, The Reader Organisation, which “works to bring about social change by sharing great literature, making it possible for people of all ages, backgrounds and abilities to engage with reading, improve wellbeing and build community”. Myself and the other contributors all provided our work for free for this issue in support of this, and if you like what you read I hope you’ll consider donating something towards the cause. Libraries are awesome. Paraxis #2 is all about the awesomeness (and weirdness) of libraries. I’m delighted to be a part of it. This is just to say that my fundraiser contest is now over. I reached my target and then some, so thank you! The prize draw will be done over the weekend, and winners contacted next week. Have a great weekend everybody, you rock my world. So, I finished my MA last week. It was a wonderful thing. I’ll miss that world, but onwards! I’m hoping to get started as a writer in education and community settings, and need to cover some initial costs. So I’m holding a fundraiser over on my Livejournal – please have a look. There are some lovely prizes up for grabs, including stories, art, and hampers of home-made preserves. I only need to raise £200 for myself, so I’m pledging any excess to a charity that puts writers into challenging schools. I know these are hard times for many, and not everyone has spare pounds; if you want to help but can’t donate, I’d very much appreciate signal-boosting. Thank you kindly for reading, and please do come have a looksee! I’ve been doing a few bits of writing, some for work and some for fun, which I’ll post about in a minute. But first, here’s a spotlight post the all-too-kind Claire Trévien wrote on me. Claire is a fantastic poet and friend, and has just released her first pamphlet, Low-Tide Lottery, which I can’t recommend enough. Go buy it. Other things – Here’s an article I wrote for IdeasTap on creative writing MAs, on what makes them worthwhile and how to make the most of them: Writing MAs: Are They Worth It? I want to write more on this subject, so watch this space. Next, a review at Strange Horizons of SL Grey’s The Mall. I had some problems with it, but it’s gruesome fun if you like quirky horror, and it’s great to see more South African genre fiction out in the world. I also have a new story, entitled ‘Four Pairs of Marco Polo’, upcoming in Verge, an anthology of writing produced as a joint project between Warwick and Monash University in Melbourne. And on to personal projects – I’m reviving The Streets of Bangkok for July and August, as I’m spending the best part of those months in Thailand. I’m working on a post about Amphawa, an amazing day-trippable town in one of the Southern provinces, and planning a new walking tour, so check back in the coming week for those. What I’m mostly doing in Bangkok at the moment is running around the locations that feature in the as-yet-unnamed novel, researching bits of local history, and finding time to work on the actual writing. Over on my livejournal I’m doing daily experimental pieces of writing about the city, as warm-ups for the chapters I’m working on. Plus a reminder that you can now buy copies of The Draft, which features my story ‘Mr Wei Takes the Train’ (an early version of a story that has now become part of the novel). All profits go towards helping next year’s MA students get their own anthology off the ground. Oh, and I’m on google+, come say hi! 2) The newly revamped Draft website. It’ll be kept up-to-date with news about the book, and currently has details about our upcoming events. 3) The book launch! It will be in London, at St. Anne’s Church in Soho, on Monday 11 July. Wine, music, readings and a friendly crowd of writers and industry folk – join us! It’ll be lovely, I promise. There’s even cake. And nibbles (I’m doing the nibbles, and trust me, I’m handy with an oven). Here‘s a facebook page for the event. The book costs only five of your GBP and is available for pre-order – email WarwickMAinWriting@gmail.com for more info.